I am slowly learning that some people are not good for me, no matter how much I love them. I deserve someone who is gentle and kind, because my soul is getting tired. 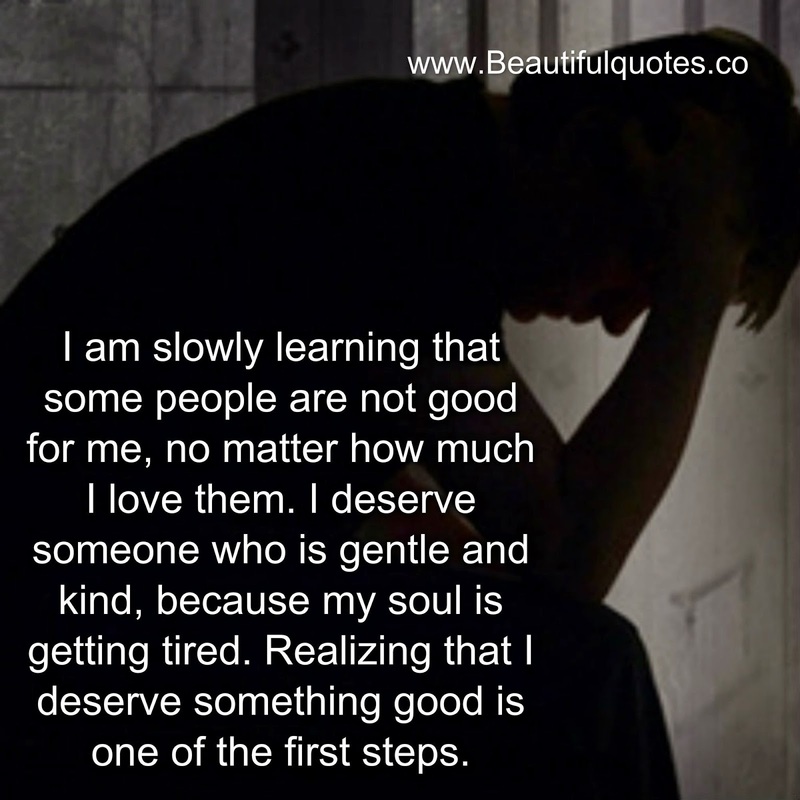 Realizing that I deserve something good is one of the first steps. Michelle K., Why I Need To Say Goodbye To You. This is EXACTLY, how my Soul feels, My soul is tired but God says don't give up. Sometimes you can't hold onto something to fill a void, but rather have someone that is happy there in your life than them not being happy your in it. Wish more people believed in themselves enough to know that they deserve to be happy no matter who they are. It took a long time to think i deserved ot, but thankfully I'm finally there. And i thank God for it.